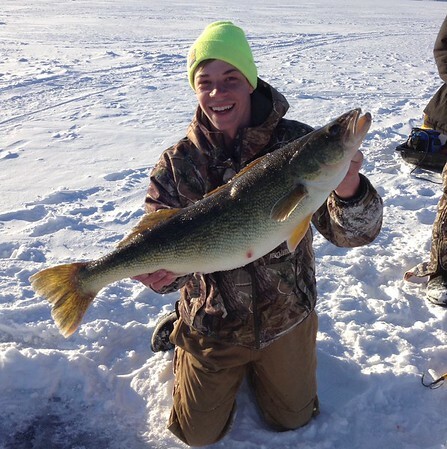 Jack Collins got this walleye on Grand Traverse Bay this March on a shiner. The walleye is 31 inches and 12.5 pounds. Photo by Shamus Megill.